When following the low fodmap diet, you realise that there are so many things you used to buy ready-made at the store that you just can’t have anymore. Stock is often one of them, as it generally contains garlic and/or onion. I must say that in Australia we are lucky enough to have many low fodmap certified products and one of these is stock. 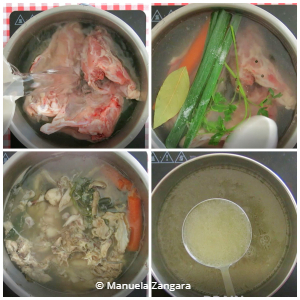 However, not all my readers live in Australia, so I thought I’d share this home-made Low Fodmap Chicken Stock recipe, so they too can enjoy a more flavoursome soup (or stew) without having tummy troubles. 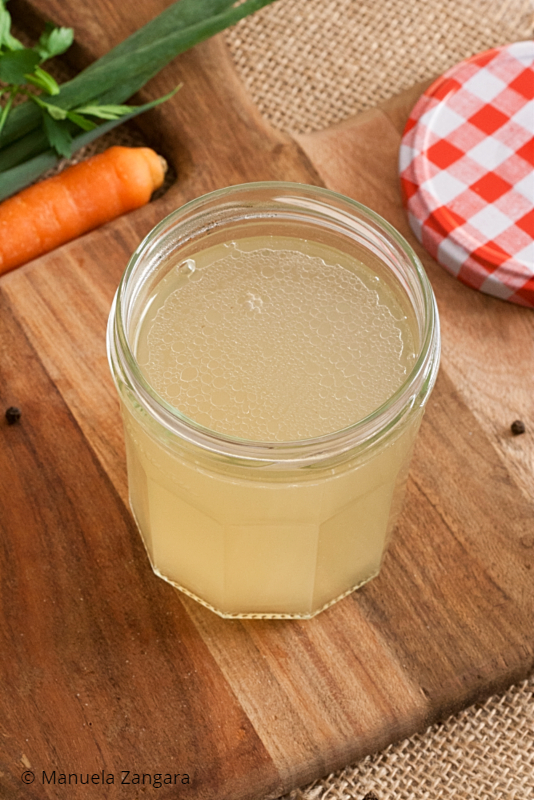 I often make this stock too, even though I can buy low fodmap stock at my local supermarket, as I always prefer to be in total control of what I eat anyway. 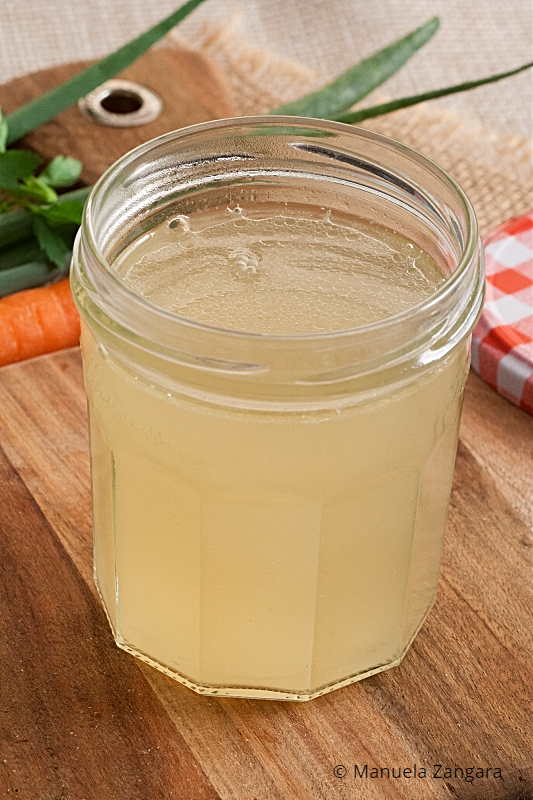 I make a full batch of it (sometimes even a double batch) and then I freeze the stock that I don’t immediately need. I usually portion it out into about 150-200 ml (2/3 to 1 scant cup) serves (which is plenty for 1 person), so it’s easier to use later on. 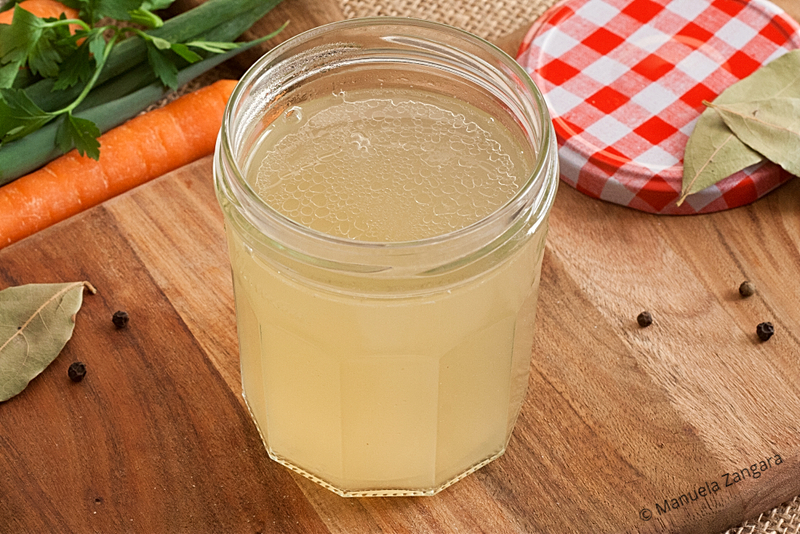 Making stock at home is very easy and you don’t need any fancy equipment or ingredients. Enjoy and don’t forget to check out my video recipe and to leave a comment to let me know how you like it! 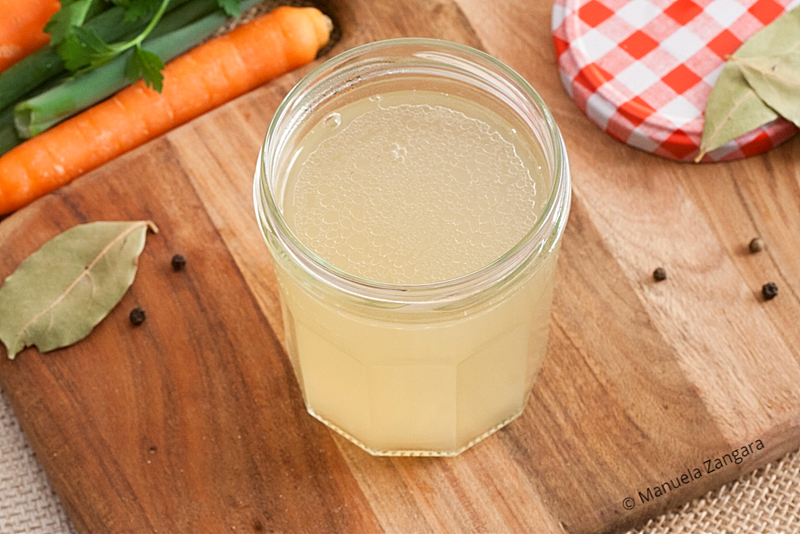 Low Fodmap Chicken Stock – a delicious home-made chicken stock that can be used for soups, stews, or any other recipe. 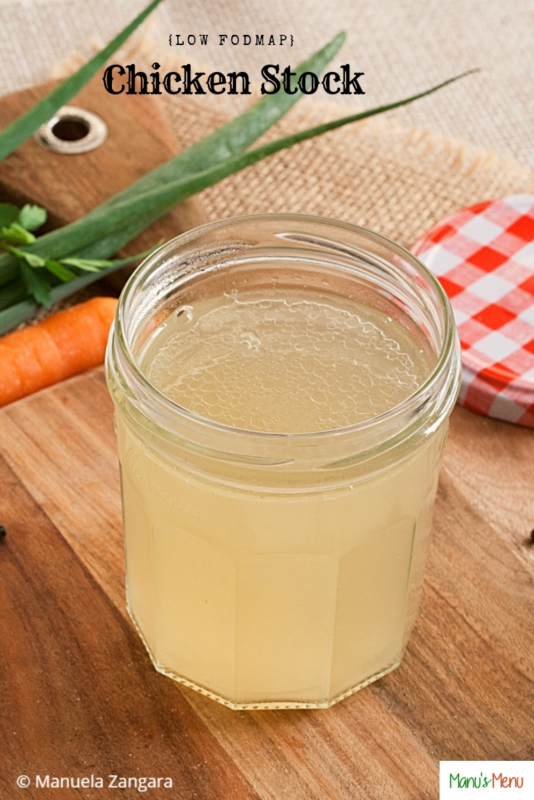 Low fodmap and tummy friendly. Put the chicken carcasses in a big pot. Add the peeled carrot, spring onion tops, parsley, bay leaf, cloves, peppercorns, and salt. Cover with water. Put the pot on the fire and bring to a boil. Reduce the heat and simmer, uncovered and without stirring for 2 hours. 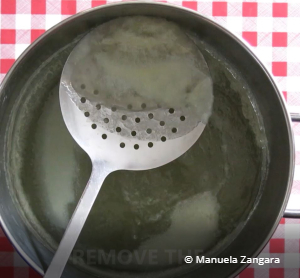 Strain the stock through a sieve lined with a muslin cloth or a coffee filter and discard the bones, vegetables etc. Keep aside to cool down, then refrigerate. 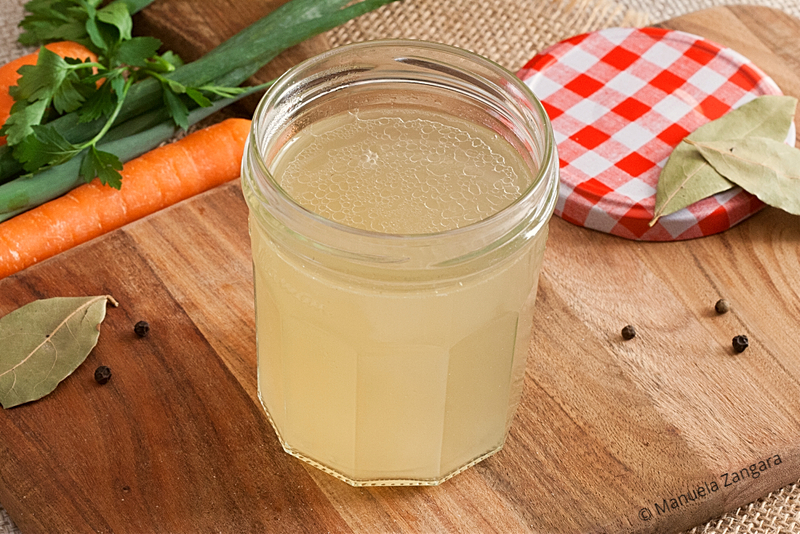 When cold, you can remove the solidified fat from the top using a slotted spoon.